No matter where you roll on the web, video is the method that causes users to stop and take notice. And, that rule applies around your offices and client meetings as well. Video works — and Powtoon has carved out a niche for itself as one of the premiere platforms for creating great looking, yet simple to assemble videos. 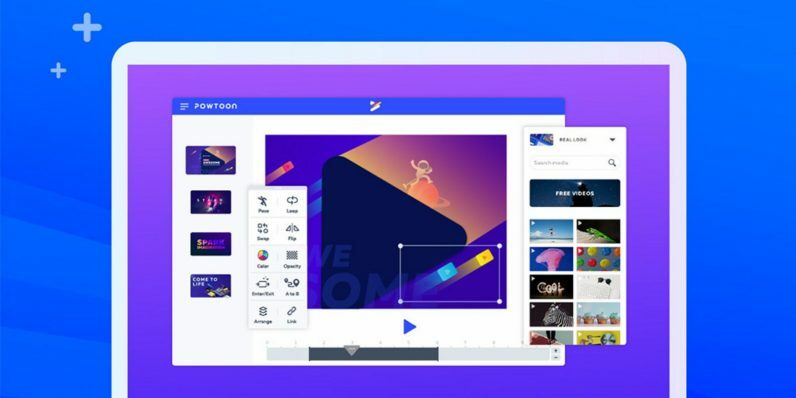 Right now, TNW Deals can get you started with one year of Powtoon access at over $50 off the regular price, just $139.99. If you’ve never heard of Powtoon, that doesn’t mean you haven’t been exposed to its work. In fact, 96 percent of Fortune 500 companies, Ivy League campuses and file-sharing networks — over 25 million users globally — use Powtoon to boost sales and spark engagement. Part of Powtoon’s appeal is how easy it is to use. You really don’t need any design or tech skills to make a great-looking video. Powtoon is like handing you the keys to a full-service animation studio. Their vaults house literally millions of royalty-free assets, including images, video and music, all for use in your video project. Just pick one of the hundreds of templates that work for you, start dragging and dropping in your chosen assets and you’re off and running. Once you’re finished, export your HD-quality Powtoon video for Facebook, YouTube or loads of other options — or convert it for use with PowerPoint. Regularly $192, you can get in on this limited-time deal for a one-year Powtoon subscription at $139.99, more than 25 percent off.